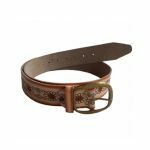 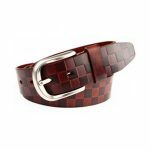 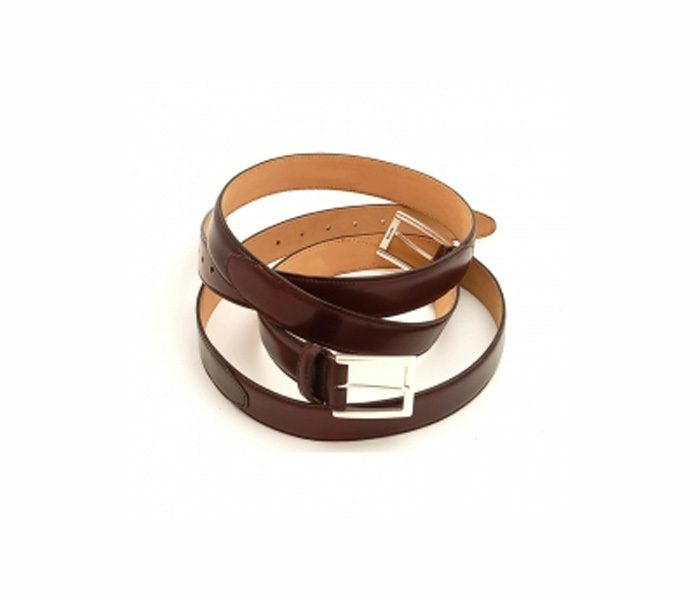 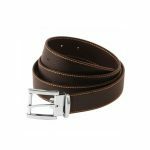 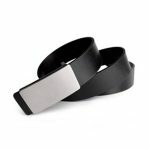 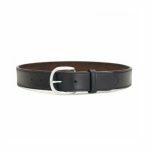 Fit to be worn mostly as a corporate accessory, this designer looking warm brown belt has a slim body. 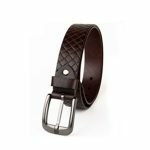 The inside texture of the belt has a beige surface with a brushed velvety feel. 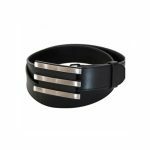 The metallic buckle has been fitted well and is sturdy. 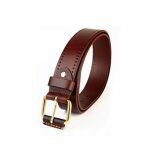 There are side stitches to make the belt durable.